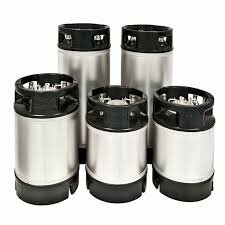 19L, 10L, 5L - any size keg you have which has either ball lock or pin lock connectors, we can now fill! It is a counter pressure fill, so no oxygen will get in and the beer will stay just as fresh as in the keg it came from. There will be a special "by-the-litre" price for this, with a minimum fill of 5L. Click here for a list of what we have to offer, and what the pricing is. There will be more availble than just what is currently on tap for growlers. Up until now we could only fill growlers which fit into our PEGAS machine - while it does a great counter-pressure beer fill, which will last for weeks, it was no help for people with either metal growlers, or growler sizes which won't fit in the PEGAS. But no more! 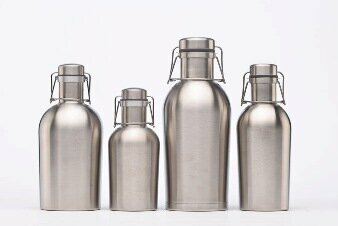 We can now fill any size or style growler you have! 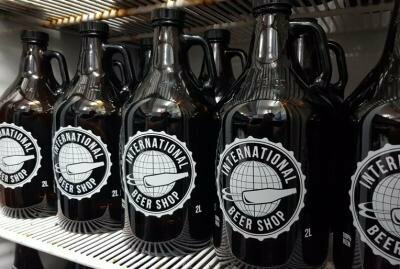 This will be an "off-the-tap" fill, so not counter-pressure, but since most people buy growlers on the day of consumption, this will not be an issue. Everything currently pouring on our taps will be available for non-PEGAS growler fills. Check here for our current tap list.